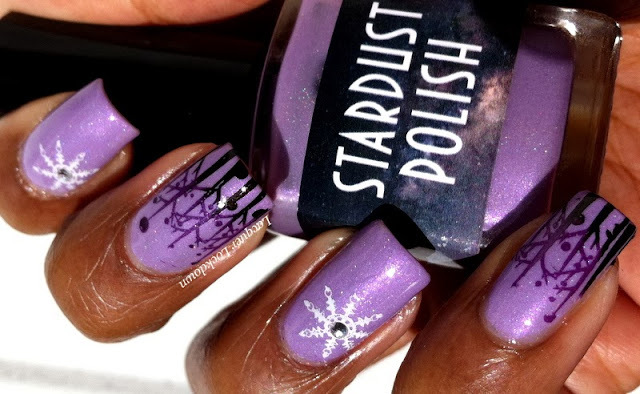 As promised I'm back with some nail art for the Stardust Polishes I reviewed yesterday. If you didn't see my swatches and post check it out here first. Normally when I create nail art for a brand I swatch I tend to push them together into one post and it's hard to figure out whether to give swatches or art priority and because of that I decided it's probably best to give each an equal billing especially when I love the polish and the art so much in different ways. So here I am and here we go! Again Lavender Dream is a subtle scattered holo with a blue shimmer. I love everything about it and for some reason when I saw it I knew a winter inspired theme would suit it perfectly! I have to say this came out so gorgeously. I wanted to create a gradient purples sliding from dark to light along the light base which is exactly what I think I achieved. I have to say I am also really loving my new CYO Bundle Monster plates! The images on them are just so cool and workable. Love em to death! So what do you think? 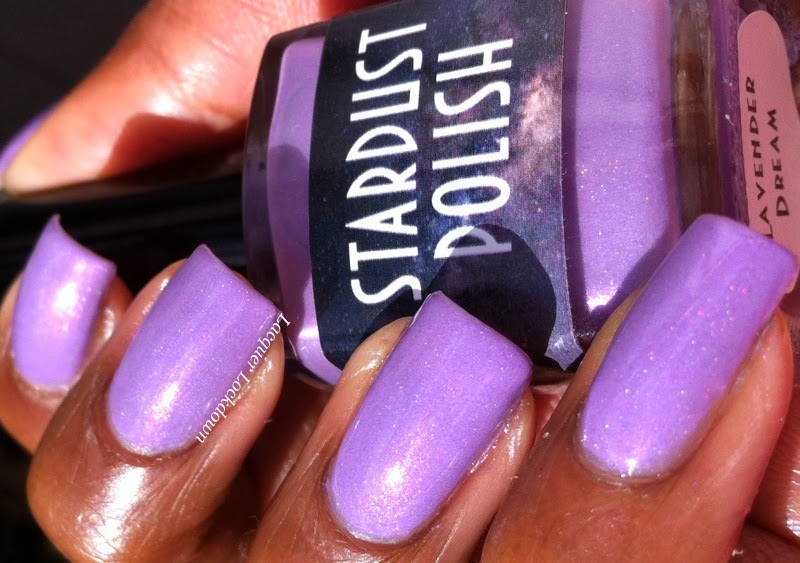 You can get Lavender Dream here in the Stardust polish store. Stand by for more awesome nail art from the brand. Thanks so much for reading and I'll see you next post! 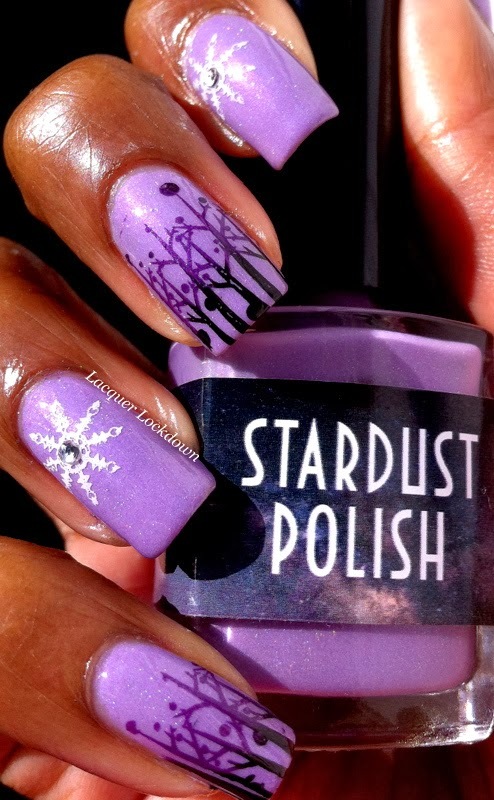 This polish is gorgeous! I love the stamping you did on top. All together this is a really beautiful mani! !